Viacom Inc., the media conglomerate that owns CBS and MTV, said Tuesday that its board had unanimously approved a plan to split the company into two separate entities, one focusing on broadcast television and the other on cable networks. 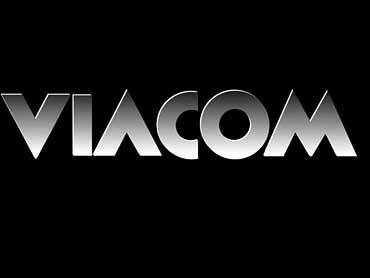 Viacom said the split will occur in the first quarter of 2006. Viacom CEO Sumner Redstone will be chairman and controlling shareholder of the companies, which will both be based in New York. The company said the separation will be made through a tax-free spin-off, meaning that holders of Viacom shares will receive shares of a new company called CBS Corp., which will include the CBS and UPN networks, a group of TV stations as well as a major radio and outdoor advertising group. The new CBS company will be led by Les Moonves, the current head of CBS and co-president of Viacom. To be called the CBS Corporation, it will combine the CBS and UPN broadcast networks, Viacom Television Stations Group, Infinity Broadcasting, Viacom Outdoor, as well as Showtime, Simon & Schuster and Paramount Parks. CBSNews.com will also fall under the CBS Corporation umbrella. The other company, which will retain the Viacom name, will include MTV, VH1, Nickelodeon, BET and several other cable networks as well as the Paramount movie studio. That company will be led by Tom Freston, the longtime chief of MTV and a co-president of Viacom. "The decision to create two new companies was the result of intense study by the board, which worked closely with the company's management and carefully analyzed all strategic options before reaching its conclusion," Redstone said in a statement released by the company. Redstone added that the Board has formed a special committee, which he will chair, that will assist and monitor the process of creating the two companies. Viacom had announced in March that it was considering a plan to split itself into two companies, saying it wanted to allow investors to value its array of companies separately. The company decided to pursue the breakup after becoming frustrated with its languishing stock price. Viacom's shares traded as high as $75.88 in July 2000, but have generally struggled since then, finishing up 11 cents at $34.21 on the New York Stock Exchange Tuesday. Viacom hopes that the MTV-based unit will attract investors seeking fast-growing businesses, while those seeking dividends and higher cash-generating businesses such as broadcast TV and radio will buy shares in the new CBS Corp. The split-up also resolves the pressing issue at Viacom of who will succeed Redstone, who turned 82 last month, as chief executive. Before the split-up plan was announced in March, Freston and Moonves had been seen as competing to succeed Redstone as CEO. As part of the announcement Tuesday, Viacom also said Redstone's daughter Shari Redstone would take the newly created position of non-executive vice chairman of the board. She had been a member of the company's board since 1994. The move to break up the company essentially undoes Viacom's acquisition of CBS Corp., which was announced in 1999. Viacom's split-up is also the biggest example of a recent trend among media companies to trim down their holdings as they try to regain favor on Wall Street. Large diversified media conglomerates have generally lost favor with investors in recent years amid growing skepticism about the "synergies" to be gained from owning such diverse assets. Radio giant Clear Channel Communications Inc. said in April that it would spin off its live entertainment business, and radio station and magazine owner Emmis Communications Corp. said it would sell its TV stations. And the shares of Time Warner Inc., which has also sold several assets including its music company, are still down 75 percent from their peak in 2000. "In many ways, today's decision is a natural extension of the path we laid out in creating Viacom," Redstone said in a company-wide memo. "We are retaining the significant advantages we captured in the Paramount and CBS mergers and, at the same time, recognizing the need to adapt to a changing competitive environment."